"AM I MY SISTER'S KEEPER? Yes I am". The concept of Circle is traditional to the African, Latino and Native American cultures. 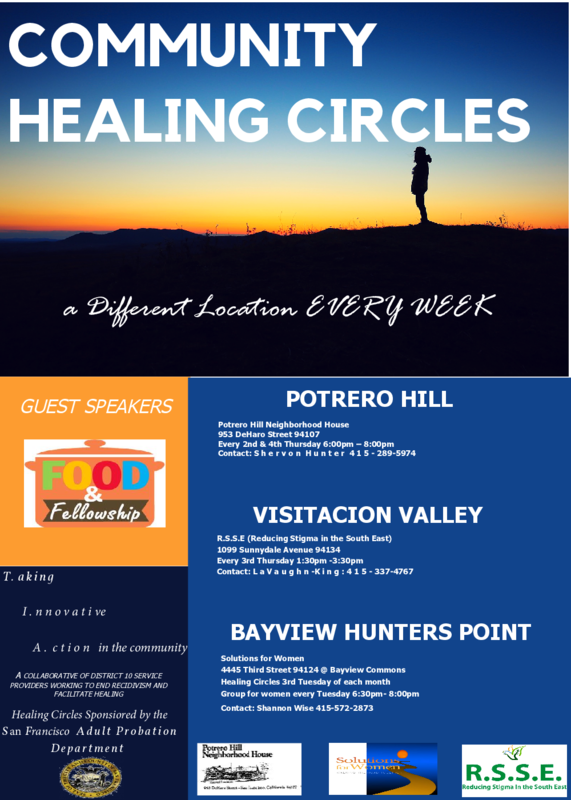 Healing Circles are practiced as a way to maintain the sustenance of a community. 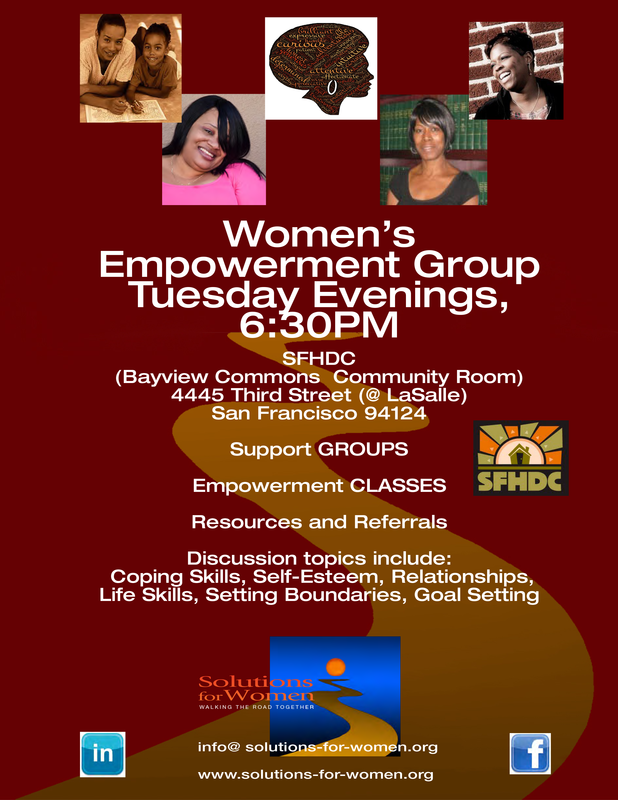 Solutions for Women Healing Circles are held once per month, on the 3rd Tuesday of each month. The purpose of our healing circle is to promote fellowship, networking and to implement personal & cultural accountability. Full meal served. "YOU CANT KEEP IT, Unless you give it away". 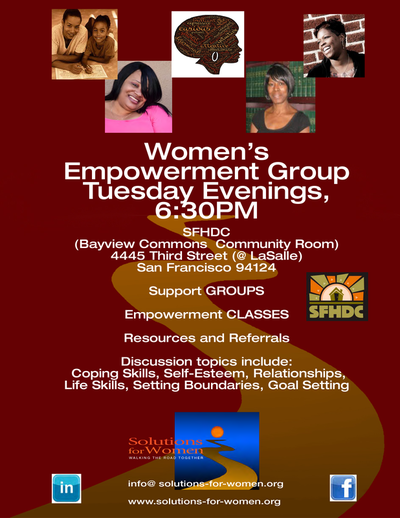 Our community circle is held every Tuesday evening from 6:30p until 8pm in San Francisco. Our goal is simple: to support all women, 18 years and older, on their journey toward personal empowerment. Light refreshments served.